What originally was meant to be an “Oh, I’m out of dish soap, I’ll just mix a homemade version up real quick,” turned into a 3-week long ordeal that resulted in jar after jar of failed liquid dish soap experiments sitting on my kitchen counter. But I was bound-and-determined not to let the quest for perfect homemade liquid dish soap get the best of me… So I persevered. 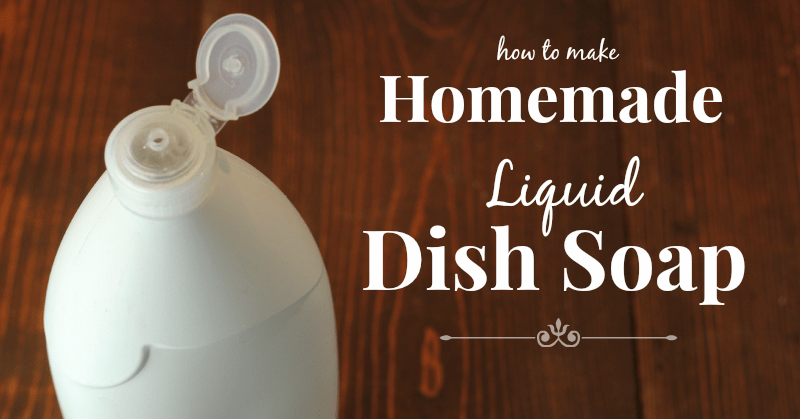 What’s Important in a Homemade Liquid Dish Soap? 1. The dish soap needed to clean effectively (duh) and be able to cut grease. I tried several recipes that couldn’t cut through coconut oil residue, and that’s not acceptable. 2. The dish soap needed to be the right consistency. After my first few tries, this became of the utmost importance to me. Many of the recipes I tried were waaaay too thick, and even though the recipe suggested mixing them with water after they had set up, the end result was far too chunky. I wanted my homemade dish soap to have a smooth, gel-like consistency– not watery and not chunky. 3. 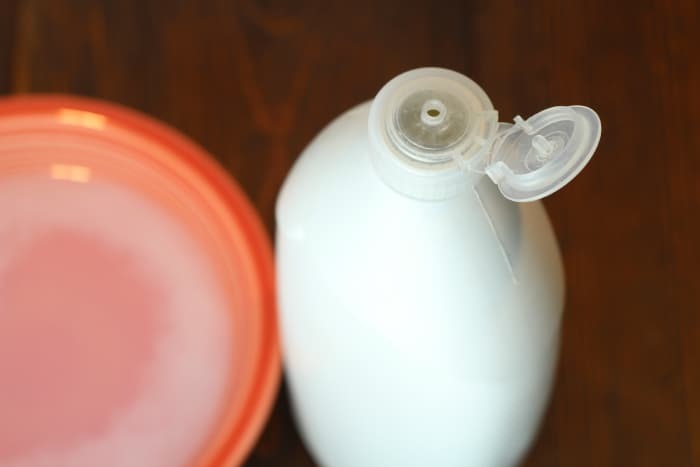 My liquid dish soap needed to be as frugal as possible–the fewer the ingredients, the better. Pour the liquid dish soap mixture into a jar and allow it to sit at room temperature for 6-12 hours. It will thicken during this time. I like to give it a stir every couple hours (if I think of it), but you don’t have to. 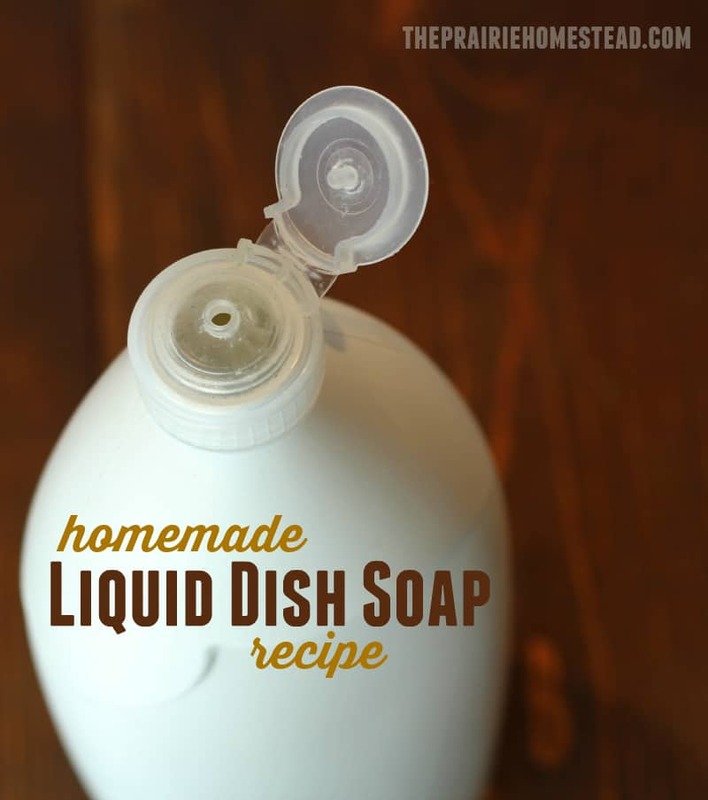 Give it a shake, and enjoy doing those dishes with your very own homemade liquid dish soap! I loved the consistency of this dish soap–it’s thick enough to stick to the dishes, but not chunky. *Important Note* Keep in mind that your results may vary a bit depending on the type of bar soap you use. My homemade tallow soap is quite hard. I also tried this with a softer homemade soap (containing ingredients such as coconut oil and olive oil), and I had to tweak the ingredients a bit. For the batch using the softer bar soap, I had to increase the soap flakes to 3 tablespoons and the washing soda to 1/2 teaspoon. You may even have to go as far as 4 tablespoons of soap flakes and 1 teaspoon of washing soda. However, there is a fine line–and I found that adding too many soap flakes makes it too thick, and too much washing soda results in it separating into cloudy chunks. Now that I have the basic formulation down, I plan on doing more experimenting with different types of soap–including some “brand name” bars, so stay tuned! Adding essential oils to your homemade liquid dish soap can boost its cleansing properties, aid in fighting grease and odors (especially citrus varieties), and provide you with a lovely aromatherapy experience while you wash. You can really use any essential oil combination that you like in your homemade dish soap–the sky’s the limit! I used my simple homemade tallow soap for this recipe, but castile bar soap (where to buy), or other homemade soaps should work as well. I think commercially available bars such as Ivory should be fine too, but I haven’t tried it yet. I grated mine with the fine side of my cheese grater. The washing soda acts as a thickener and de-greaser. It is not the same as baking soda. 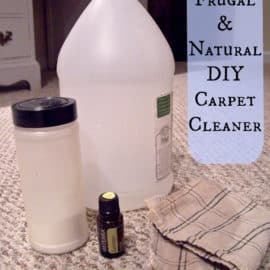 A lot of DIY dish soap recipes call for adding liquid castile soap– I tried that but found it reacted with the washing soda and made things horribly clumpy. This recipe will not yield lots of suds. However–did you know that suds are merely an illusion? They don’t actually do any cleaning, so I figure it’s no big deal if my homemade dish soap doesn’t get sudsy. Too thick? Try adding 1/4-1/2 cup of warm water and giving it a brisk shake. Too thin? Re-heat the mixture and trying adding in a bit more washing soda or a tablespoon more of soap flakes. This is recipe is NOT intended for use in dishwashers–only for hand-washing dishes in the sink. Where do I get my essential oils? I’ve been using the same brand of oils for 3+ years and couldn’t be happier. Click here for my personal story. Thank you! I’ve gone through two different DIY recipes I found online with disastrous results. The first one had the liquid castille plus washing soda AND vinegar! Of course I found out later that vinegar de-saponifies the soap. So almost a whole bottle of expensive Dr. Bronner’s wasted from that recipe from a DIY blogger. Tried again without the vinegar and it hardened so much that it was almost like a rock in the jar. Was able to use it a bit because there was some liquid still in it, but that ran out quickly=more dr. bronner’s wasted. Then I just did a 10 to 1 ratio of filtered water to dr bronners liquid, with some drops of lemon essential oil, which is what I’m using now. It’s okay, but yeah, kinda runny. Does sud a tad. When I use that up, I’ll try this one of yours, thanks! I guess I was trying to avoid the recipes that called for grating the soap, as that’s such a chore, LOL. 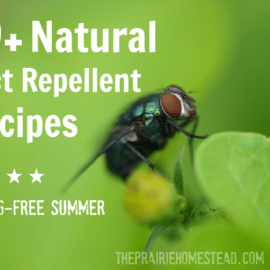 Yes– I’ve seen a lot of recipes calling for mixing vinegar and castile soap– that’s a big no-no! Actually, every time I added an acid to this recipe (even tho it doesn’t contain castile soap) I ended up with trouble… so I just left out any sort of lemon juice/citric acid/vinegar. If you are going to be making a lot of soap from bars, use a dedicated food processor to grate it instead. That will chunk that soap into flakes in less than a jiffy! I use my salad shooter to grate the soap. You can also use the grater on a food processor. I grated the soap on a traditional cheese grater (read, grating by hand) in a jiffy! A few tablespoons should take you no time to make! I don’t have vegetable glycerin, so I used another recipe- grated soap and mixed with jot water, added a bit if vinegar. We’ll see how it works. I would love to try your recipe- I just need the glycerin! How did yours turn out using the other recipe? It didn’t cut the grease well, so I’m gonna try this recipe next! 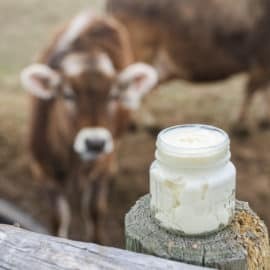 How do you make your beef tallow soap? I have never made soap but want to try. We butcher a cow a couple times a year so I thought this would be a great one to try. Thanks! I have loved this website. It has been a great resource and a lot of fun to explore. I hope to get a recipe up soon–just making sure it’s “perfect” first. 😉 I did a 100% tallow bar–and it’s been working great so far! If you test with the castile bar soap please update with results/variations. All methods I’ve tried have failed the kids and my husband just couldn’t adjust so now I’m buying a natural solution that is busting my wallet open! Also a soap making tutorial would be great if you have the time! Yes– I’m planning on tackling it with castile bar soap next! Does this soap rinse clean also? I’ve tried a disastrous recipe that was terrible consistency & left a residue on the dishes. I could live with bad consistency, but not the residue! Eager to find one that works, because the ‘healthy’ versions are actually ripoffs because they still contain toxins. I will be using Dr. Bronner’s. It’s been rinsing very clean for me. Although that might depend a little on what bar soap you use. I think Dr. Bronner’s would be a safe bet. I can’t wait to try this! I make hot process soap in the crockpot, and have a small container of “crumbles” and I bet this would be a great way to use them up! Yep! Perfect use for crumbles! Awesome! I have already made your laundry detergent recipe and I’m hooked. I plan on making some dish washer tabs and now I get to try liquid dish soap. I usually by the dawn soap that treats the hands. Do you think using a dove soap bar would work for that? I have several on hand and it would give me a use for them. The only thing I need to buy is the glycerine. I too have tried another recipe which yielded a ton of dish soap but it separates and it is clumpy/glumpy (is that even a word?) I don’t know but it does not work well. It cleans, I think..in all honesty, I am not happy with it so I am willing to try one that will work and look more like what we are used to using. I don’t mind lack of suds..I just want clean dishes. Will try this recipe and post back. I really hope it works for you! Any idea how much this cost you per batch? And I was wondering if you feel like this is easy on your hands–with the washing soda and all? I have eczema on my hands and am currently paying a ton for “natural” dish liquid that isn’t all that natural. I know I should wear gloves, but I have have small hands and they just seem to get in the way. I haven’t crunched the numbers yet, but I know it’s very, very cheap. It hasn’t seemed hard on my hands at all (I don’t use gloves). However, I also am not dealing with eczema, so it’s hard to say for sure. Jessica, you could try protecting your hands with a rubbing of coconut oil before and after doing the washing up. You only need a tiny amount, really well rubbed in. At first it may seem a little greasy itself but the more you use it the more readily it rubs in. Like everything else in this life, it doesn’t work for everyone but it has helped me. This is one I want to try. Good post. 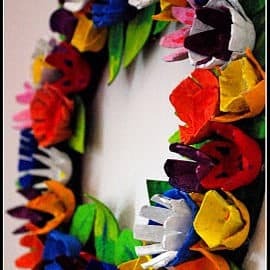 I LOVE DIY or MYO projects! Thanks for taking the trial and error out of this project for me. Can’t wait to try your version. Have not had any luck with liquid dish soaps, homemade. Thanks for posting this. I will have to try this one. We recently started making our own laundry soap and it is absolutely wonderful and super cheap. I had searched and searched for a way to make homemade dish soap since money is tight and it has been a challenge. I found a recipe and it called for any bar soap and I tried to use our Fels Naptha bar soap and it left soap scum all over my dishes which I couldn’t deal with. I really hope that this one has a better performance…I’m getting excited to try it. I hope it works for you too! I suspect that, depending on what type of bar soap you use, you might have to adjust it a little, but I know that it’s sure working for me! Would Sunlight Soap (an Australian brand) work the same for the grated bar soap? Haven’t used it for years but it was always known at “pure soap”, hope that over the years the manufactures haven’t added too many chemicals. I am enjoying your information so much. Citrus oils and lemongrass are great for the skin and smell awesome, however, they contain phototoxic compounds that increase the skin’s sensitivity to UV light. If you’re lucky enough to not get badly sunburned, your hands will get brown splotches on them. It’s better off to not use citrus oils in homemade soap, unless you only wash dishes before bedtime. Store-bought dish soaps contain oils that have the phototoxic compounds removed or they only contain synthetic scents. Thank you for this recipe. I love home made soaps and can’t wait to try. Just a quick note: Be careful using Cassia oil for general purposes. Too much or even regular exposure can cause depression. It is a powerful germicide, but it is better to choose an oil without that side effect unless you absolutely need the power of Cassia. Cinnamon Bark can be used for that yummy scent without the risk. Thanks a bunch for the post! It is becoming a lost art I guess but if you are interested we have a bunch of cool recipes for homemade soaps at http://jubilee101.com/subscription/free-soap-and-shampoo-books and if you go to the home page we have lots and lots of other informational goodies that we share. Once again thanks for the post. Awesome, Jill! I’ve been thinking about this ever since your “teaser” yesterday. Does that make me a homesteading nerd, or a geek? Blessings! Looking forward to trying this; I like the ingredient list . . . also looks like the recipe could be used to make bubble bath for the little girls in my house! I am looking forward to trying this. I do hope you have a moment to answer a question. Is it necessary to use a citrus oil? I use my dish soap for the basis in almost all my cleaning solutions, from walls, counter tops to floors. I have cats and I understand citrus oil is toxic to them. Thanks! Bummer! I was getting all excited thinking this could be used in the dishwasher! Ha ha! I’ve had a DOOOOOOOZY of a time trying to find a recipe that will work in the washer and actually get dishes clean! *sigh* Oh well! Maybe someday I will try this one, though I avoid handwashing dishes like the plague! Glad your trials and errors finally found a winning recipe! I don’t like the goopy consistency of a lot of the recipes I’ve tried for various household soaps, so I’ll pin this to try later! So far, I have yet to see any blogger with a good dishwasher recipe! I’m starting to think it can’t be done. 🙁 A lot of folks post recipes, but then come back a while later and report that they stopped working. We don’t have a complete DIY dishwasher soap, but we do mix Cascade with washing soda, half and half. It cuts down on the price a bit. Another suggestion. For mixing things up instead of shaking, use a quart small mouth canning jar. After the mixture has setup, take your everyday blender and spin on the blade unit, set it on the blender and BZZZZZZZZZZZZZZ! Instant mixing and it’s in a jar for storage! I do this when making homemade laundry ‘mayonaisse”. I am surprised that the blender blade unit screws right on the canning jar! Works fantastico! Hi Jill, found your site and am loving it! Here is a link to a homemade dishwashing recipe…you may or may not like it. I have not tried it yet, but am planning to! This isn’t DIY, but Tropical Traditions has a dishwasher soap that works very well and lasts me four or more months (doing dishes for a family of five). Hint, watch for when they run a free shipping sale (usually once a month). I would love to make my own, but till I find a recipe that works, this is the next best thing. When I had a dishwasher, I used 1/4 cup total of washing soda and baking soda, and my dishes always came out streak free and clean. You should try it! Hi Essie, you said you use 1/4 cup total of washing soda and baking soda. I just want to clarify…. do you mix the two sodas or do you use 1/4 cup of each. I think I understand you correctly, but am trying to make sure I got it right. In other words….. 1/8 cup washing soda and 1/8 cup baking soda? Yes, 1/8 cup each. Sorry for the confusion! Thank you so much, I am definitely going to try this!! One of my secrets to smooth laundry and dish soap is a handheld stick blender, makes it perfect every time. I have also put it in a regular blender, just small amounts at a time, otherwise it blows up all over your kitchen, just trust me on that one. I like the stick blender because I can just put it in the pot I made the soap in. I was wondering if this would work with octagon soap. I don’t have a package in the house so i don’t know how “natural” it is. It’s what i have found works for me in my homemade powder laundry soap without causing me itching. Any one try it, yet? Do you have your recipe for tallow soap up? I tried to search for it but couldn’t find it. I have beef tallow for the first time. It’s in my freezer until I have time and have figured out what I want to do with it. Just so you know I already tried adding more Washing Soda. I”m thinking it’s my bar soap. Having the same issue. This recipe has zero effect on cutting grease. I am going to get the ingredients for the dish soap this weekend. I am also going to make my own laundry detergent. Thanks for the recipe! I just used this dish soap for the first time. My dishes were very clean but the water seemed to bead up more than usual on the dishes. Could this be from a bit too much lemon ess. oil? It sort of poured out instead of “dropping”. Oh well, it’s food grade so……………. 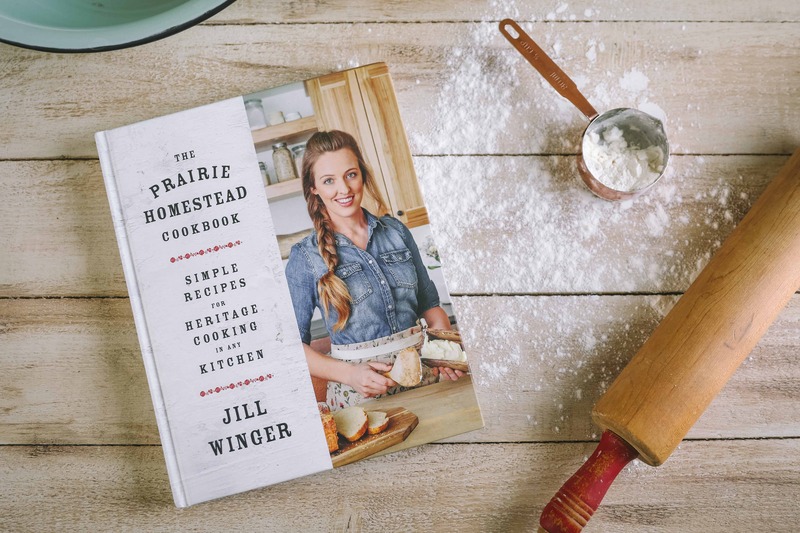 Do you have a book with all your recipes in it? You surely have good ideas. I have made laundry soap, deodorant, lip gloss and going to do dish soap today Thanks. 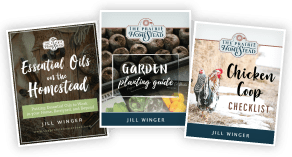 So far the only “recipe” book I have is my Natural Homestead one–but you never know what might show up in the future! I made up a batch of this dish soap yesterday and let it sit over night. This morning I couldn’t wait to wash the breakfast dishes! I have tried other homemade dish soaps and was always disappointed. They all seemed to be too watery, too chunky, or they left horrible greasy residues on my dishes. This morning’s dishes were simple but the soap worked great for them! The consistency of the soap is a perfect gel with no clumping! My dishes are sparkling clean! I didn’t even have to add a vinegar rinse to the dish washing process like I had to do for some others! So far, I am very impressed.Thank you for sharing this recipe! I can’t wait to try them on tonight’s supper dishes. 😉 We are having lasagna. It should be a good test for the soap. The only question I have is, is this soap anti-bacterial? Will it kill the bacteria left behind from raw meats? Palmolive used to make dish detergent sheets. Is there a way to make dish detergent sheets? Hmmmm… that sounds like a lovely combo! I made your recipe using Dr. Bronners hemp & Citrus bar soap. I used your exact measurements, minus the essential oils and it came out very well! The consistency is nice, and it has been rinsing clean. This is my first home made cleaning product trial, so getting used to no suds is taking some time! Thanks! Yay! I am SO glad to hear this! Is the glycerine necessary? Also what is your tallow soap recipe. I do tallow lotion all the time and love it!!!! Can you make the soap from lard? I have like 20 lbs sitting in my freezer. Thank you!!!! Just discovered you today through pinterest! I like to add it for it’s skin-softening properties, and I think it just adds an extra punch to the recipe. But you can omit it. I found your website today. I was looking for a good homemade dish soap. I am trying to stay away from chemicals. I tried one homemade dish soap but it did not cut the grease, basically it didn’t work. Comments say your work. I am going to try it. I see your add for people to join your company. Sounds very interesting. However, I am very lacking in funds. I try to do things naturally. We have our own chickens and a few horses. I am into herbs and essential oil (when I can afford them) in order to be health and avoid medical bills which I cannot afford. I am interested in learning more. I still get a cloudy look to my glasses, how can I get rid of this? How much liquid soap do you use to how much water? Maybe that’s my problem!? Thanks My Lady does all this stuff not this yet but thanks alot for the research, must get onto the pocket book abit. We will do it, just thanks. I made some liquid soap last night and it was thick this morning. I added water and I’m letting it sit. It has very small clumps in it. I guess I would need to mix it more to get those out. I did a double batch and maybe that was the problem or too much castile soap. I might mix it again and try and get the little lumps out. Okay, this will be pretty “out there”: Do you think your dish soap would make a good shampoo and body wash? I ask because I showered for 10+ years with an obscure P&G dish soap, Dermassage. It was great. Clear liquid with no scent but “clean”. Rinsed clean (just like dishes) and NO SOAP SCUM to have to clean out of the shower every week. But, P&G radically altered the formula, adding coloring and obnoxious scent. I don’t want it on my skin any more. I have been searching for an alternative and nothing else has measured up to this point. I am willing to try anything to get back to where I was before. That is how I found your blog, -looking into making my own liquid soap. Pretty obsessive, huh? Hmmmm… you know, I’ve never thought about using it for that. I usually just use my homemade bar soap for bathing–and that is what I grated up for this recipe. It might be worth a try though! Can you post a link to your tallow soap recipe? I often wash my hands with the dish soap sitting by the sink. Would that be a bad thing since it has washing soda in it? I believe the washing soda contains sodium carbonate as its primary (or only) ingredient? I’ve read this is more caustic than baking soda (sodium bicarbonate). What could you tell me about its safety? Thanks. I made this soap with castile bar soap (grated) but it did turn out very clumpy, like a cloudy gelatin clump. Also it left my dishes with a cloudy greasy film. Not sure what to try different other than maybe go with already liquid castile soap. Any suggestions? I haven’t yet tried it with Castile soap, so I can’t say for sure. I know castile soap can tend to be more finicky, though. I made this with castile bar soap last night, I LOVE IT!! No clumps, chunks or whatever. It was very thick this morning but like you said stir it up or shake it up really good and it is PERFECT! I used CitrisBliss and it smells awesome!! Wahoo! And I bet it smells awesome with Citrus Bliss! 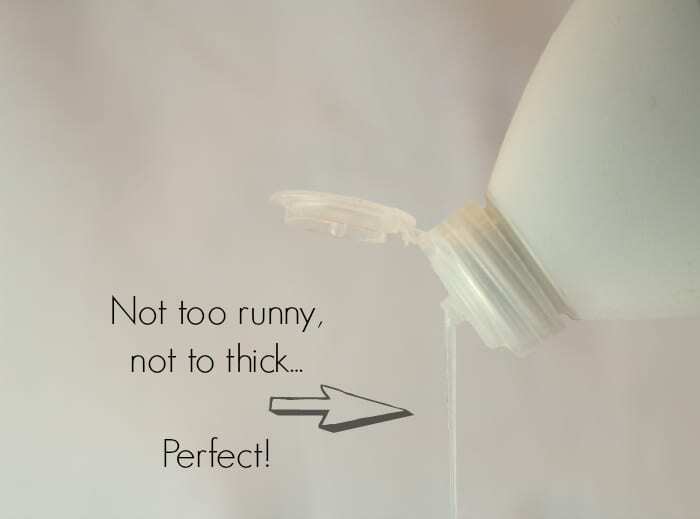 What proportions did you use and what brand of castile soap did you use? You can make your own washing soda by baking your baking soda – one less thing to buy! dishwater is shallow, they should work. My three children had their own unique allergies. You experiment, and like you with this recipe, you don’t give up. We made this dish soap about a month ago. Used a homemade bar of soap that was 100% lard. The soap turned out great. Perfect consistency, great smell. Does a great job on grease. And works great for taking care of dry crusty dishes. The lack of suds took us a while to get over, but we did when all the dishes turned out sparkly. We have now used our entire batch and have more sitting tonight, ready to use tomorrow. Love this recipe and will be using over and over again. Thank you! Oh, we used orange and lavender essential oils. Perfect for us. Will use those again. YAY! Happy to hear it worked well for you! I just try a recipe that was 4c water, 1/2 a bar of grated castile, 1/2 tbs veggie glycerin, and 20 drops of tea tree ess. oil. Did my first batch of dishes, Im getting the film left on things. 0-suds, which I have no issue with, but this thick sticky film is brutal. It also builds up on the surface of the water and leaves a ring in the sink once its been drained. Is there anyway to emulsify or have a bit of de-greaser in it, Perhaps thats what the suds do for us? Anyone else have this issue? Ill have to try your recipe! Me, too!! used Kirk’s castile for the bar soap!! the liquid is pretty though, rather pearlized like IVORY dish detergent!! But that’s the only thing that’s nice about it–terrible scum on dishes and around the sink. when i fill the sink, i get minimal sudsing that immediately deflates leaving burst bubble scum that immediatley clings to anything that touches the surface and since one has to bring the dishes to the surface to rinse them, scum gets on everything!! and it does NOT rinse off, only remedy is to rewash them 2 to 3 times using a good commercial dish detergent(Dawn) and now you have to scrub the scum off, rinse, check, scrub some more–repeat, repeat, repeat to make sure all residue is gone!! this is my third batch of dish soap– #1 was using fels naptha #2 my own low fat vegetable shortening # Kirks castile, all 3 used washing soda and glycerine– I now have almost two gallons of dish soap under my sink and still buying Dawn!! the only thing i can think of is i’m using too much, but then i’m a “if little’s good, mo’ is bedda’ ” kinda gal!! could one possibly add Lemi-shine??? After I read this, I took my soap, put it back onto the stove on very low and added about 2 TBS of washing soda and WAY more water, I started out with 1 liter when I was finished I had about 1 3/4 liters. Since adding the washing soda the film has decreased to an acceptable level. I also added less soap to the water, but not by much. Sue, I would recommend doing what i did and adding more washing soda. Please let us know if it works for you too! I used Kirk’s Castile Soap, and my first batch was just like water. I kept adding more washing soda in small increments, but the results were the same. I think I finally ended up with close to 2 tsp of washing soda, but it did set up. It did take closer to 24 hours, so maybe if I’d left it sit longer at a lower amount of washing soda it would have worked. At this amount, it was almost a solid, but I was able to add the hot water and get a more smoother liquid. I’ll keep experimenting. 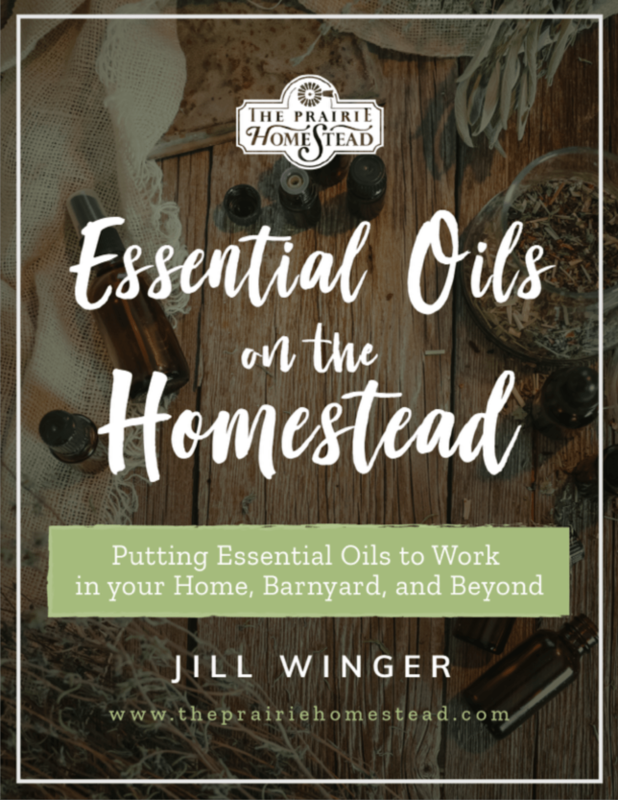 One question: I have heard that the essential oils can leach chemicals from plastic containers. Is this true with all oils or just some? Can this be safely stored in a re-purposed plastic squeeze bottle as mentioned above? I have young kids so I want to be sure that I’m keeping them safe. Thanks. Has anyone tried Fels Naptha soap? I have a bunch of these bars for laundry soap. I can’t seem to find it in my area, but I do want to try it for this recipe. If you have octagon soap in your area, give it a try. I can use it in my laundry soap, nut not Fels Naptha. You are so welcome Grace! Glad you are enjoying the soap! You can make washing soda by heating baking soda in the oven at 400F for an hour on a shallow baking sheet. Harmless (there’s no scent, just be aware that it does offgas carbon dioxide and water, as steam, which makes the oven easy to clean directly after; bonus! ), but just one more step. I like to throw it in after I’ve baked something else at 400, like pizza, so I’m not heating the oven just for this. I want to make some liquid dish detergent. I have animal glycerine not veg. What is the purpose of the glycerine? I think it adds to the nice consistency, but you can omit it. Why would someone go thru this trouble, rather than washing the dishes with the cake of soap directly? Just soap a washcloth and then wash the dishes as you would wash yourself. If you want to soak them, swish the soap in the dish water until it’s soapy enough. What made people think liquid soap was necessary? I agree with you Robert! I keep a bar of Kirk’s Castile soap in a nice dish next to the sink. Whenever I’m washing anything including the stove and counters, I just rub a wet cloth over the soap and use it this way. It’s very simple. I made this last week and it seems a little thin. Is it too late to reheat and add more washing soda to it? Also- I know u said it does not suds up, so how many squirts do you use? I’m sorry if that’s a stupid question, I’m just not sure it’s working since it’s not sudsing up. Thank you for the recipe. Looking forward to trying it. Although I think you should use distilled water to cut down on the mold issue. Also I heard adding Sals Suds by Castille will add the Suds (if you can’t do without – like my husband & teens) but unsure how much I should add without making your recipe too watery. Any suggestions? I was wondering- I don’t have access to beef tallow and buying it is so expensive. Has anyone tried this with lard soap instead? I can buy lard at the store here.